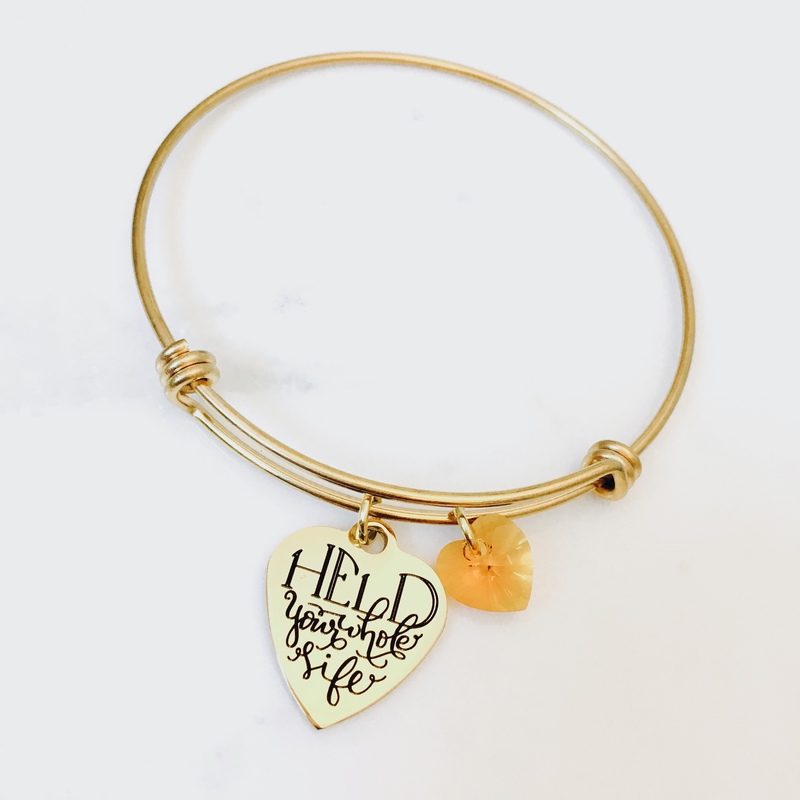 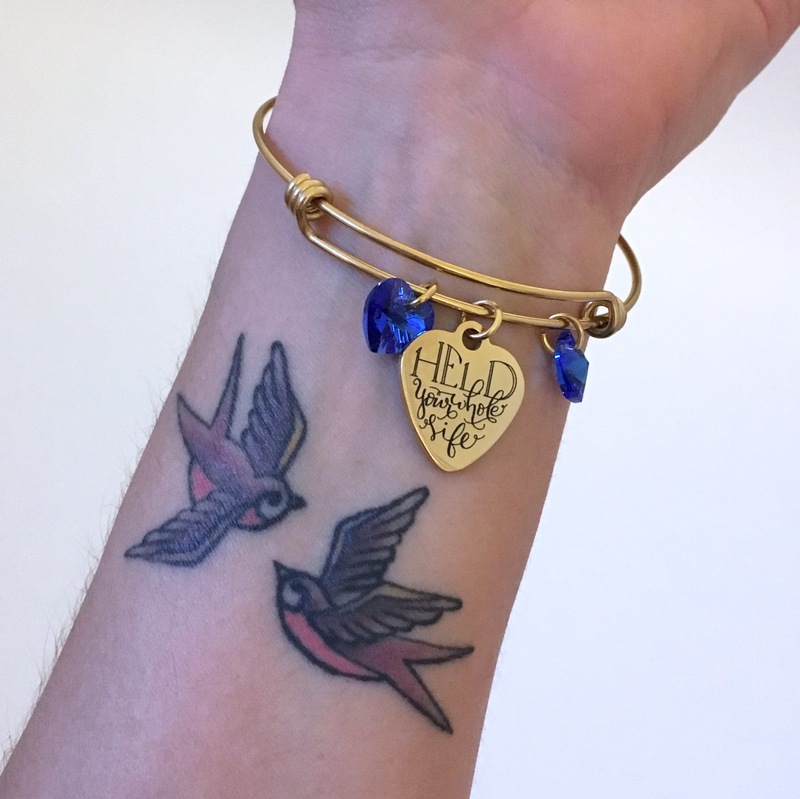 Our Heart of Gold Bangle features a heartwarming gold-plated stainless steel version of our signature heart pendant, hung on a 70mm gold-plated stainless steel adjustable bangle bracelet. 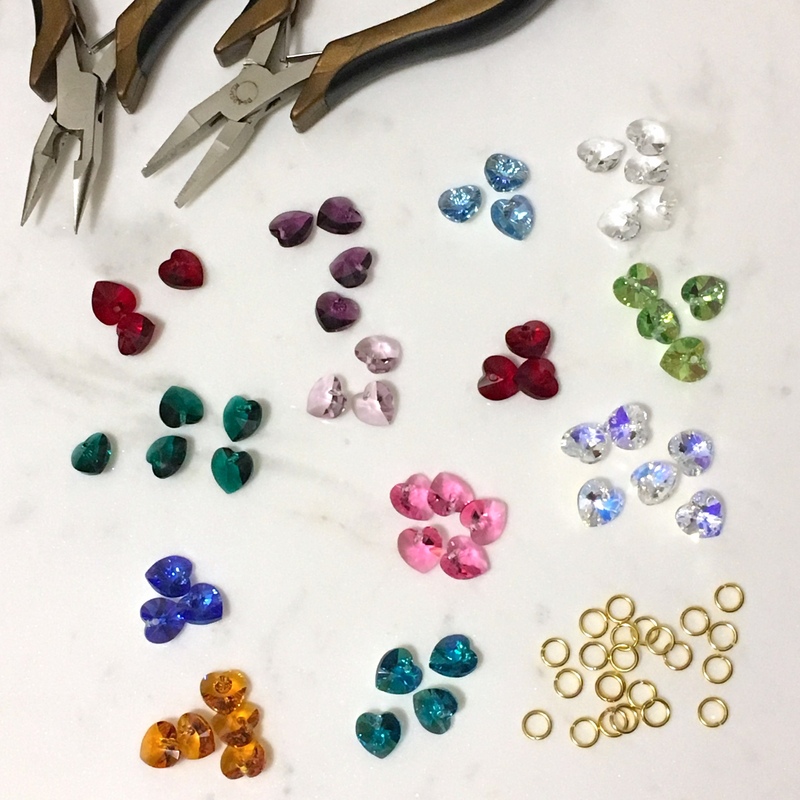 All pieces are lead and cadmium free and nickel safe. 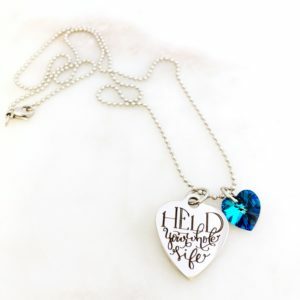 The heart pendant is hand polished on both sides and laser-engraved so it will not fade. 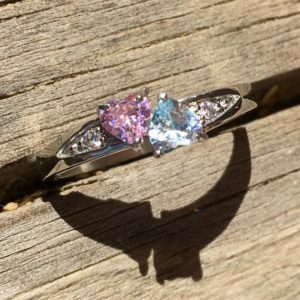 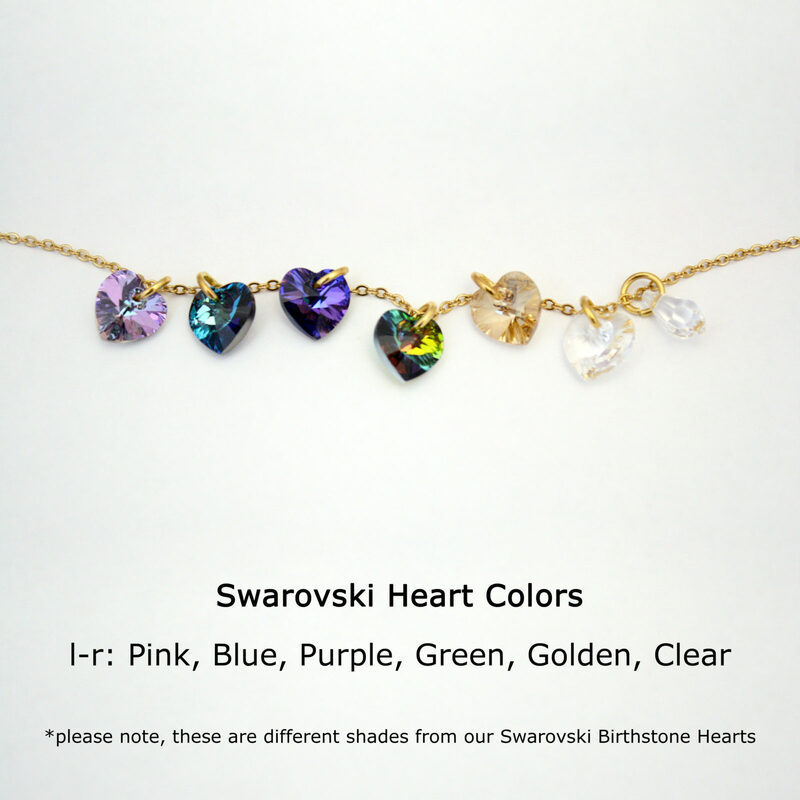 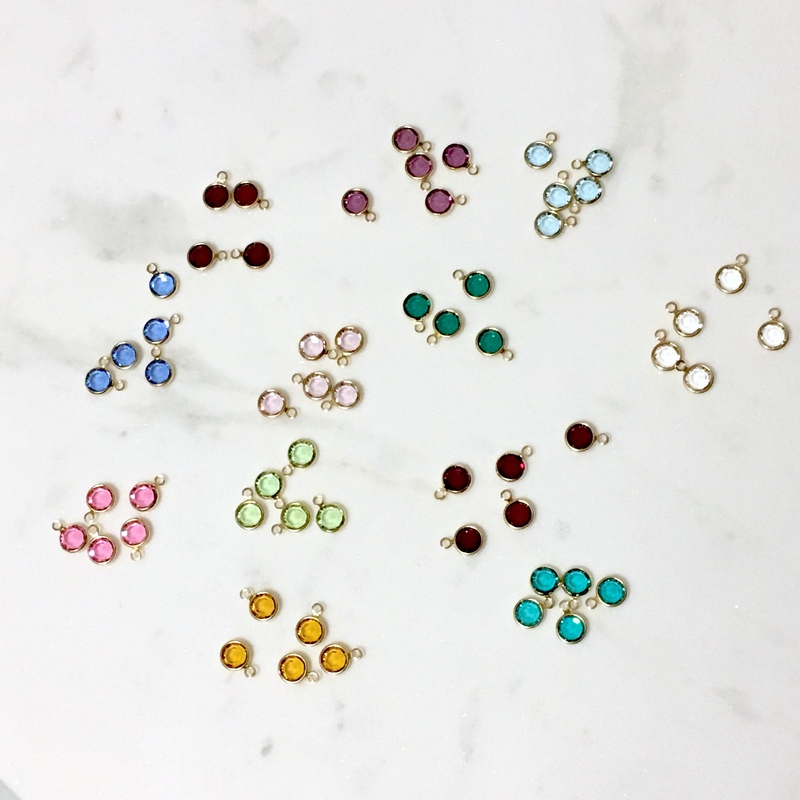 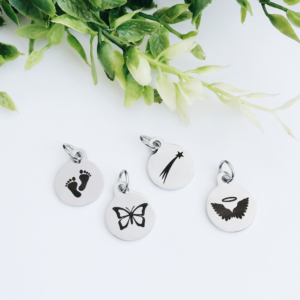 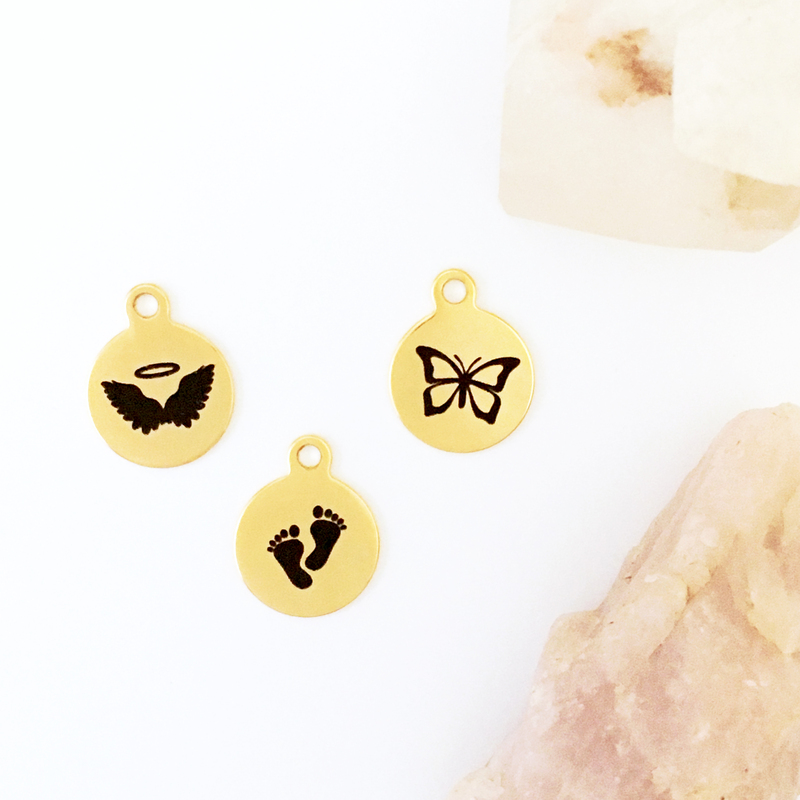 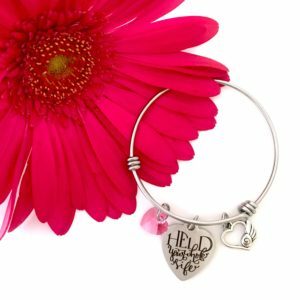 Includes your choice of gold-plated stainless steel round charm, gold-plated Swarovski birthstone channel drop charm, or Swarovski crystal heart.